This month we decided to send all of our pals cinema light boxes through the post. These light boxes have been extremely popular recently and we thought that our seriously ill pals would enjoy them too! The video below is just a small taster of how much fun our pals had with their light boxes! They made an absolutely fantastic extra smiles project particularly as our pals were able to write and share fun (some even cheeky!!) messages with their families and friends. Thank you to all of our families who kindly shared their light box photos! We were absolutely inundated with happy photos so we just had to make a small video to cherish them! Here at Post Pals, we make every donation count towards making happy smiles for our pals and this is just one very fine example. Please take the time to enjoy the video below – Thank You. 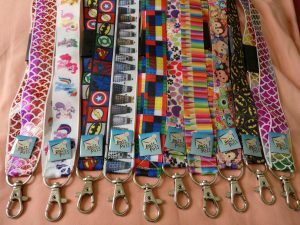 Post Pals has sent a lanyard to every single Pal and sibling we help and we are now appealing for help in filling up those lanyards! 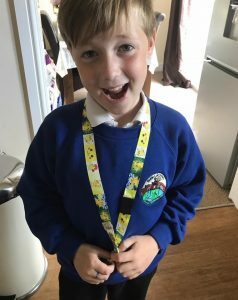 Could you send a badge to a seriously ill child? It could be from eBay, your collection or ones you pick up on days out- you could even tell the child where it came from or how you came to have the badge. Badges can be any type, from standard backs or pins to clip ones. 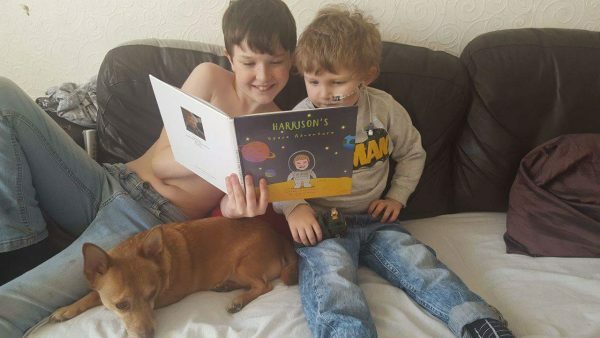 Just go to our Find a Pal page, select a child and send them a badge. 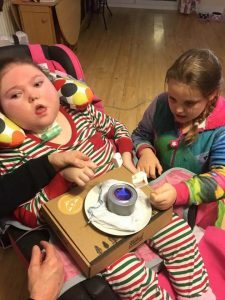 It couldn’t be easier to make a child smile! Post Pals has started to have finger print necklaces made for the parents of our most unwell children. 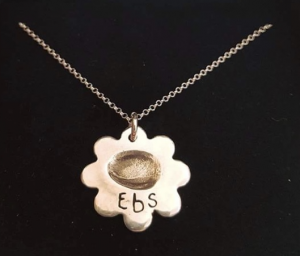 “My beautiful necklace that has so much meaning and made by Ebonie herself. Her finger print, her style choice and her choice of how her name was presented. 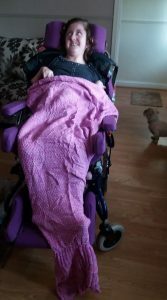 Made the week before she went to sleep forever, I am so thankful we were able to make the before she left. 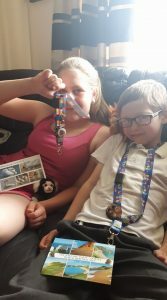 Post Pals would like to be able to offer these to all our families whose children have a life threatening condition but at £60 each we are currently unable to. If you are able to contribute towards or sponsor a necklace we have a Justgiving page dedicated to this project. 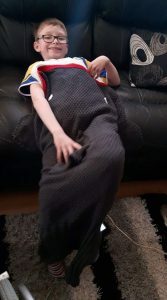 Malachi’s wish is to be famous, he already has over 13,000 followers on Facebook and enjoys making videos. 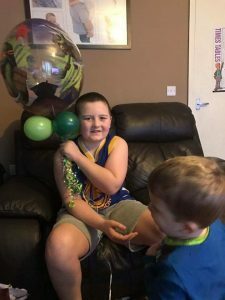 A volunteer decided to help make Malachi even more famous by creating him a website, YouTube channel, and giving him a banner and business cards. We hear every single member of staff at the Marsden now has his business card! Here is Malachi interviewing people at the Post Pals party. 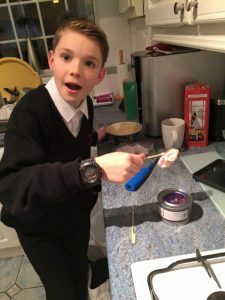 Check out his site www.malachityler.co.uk and don’t forget to follow him on social media! 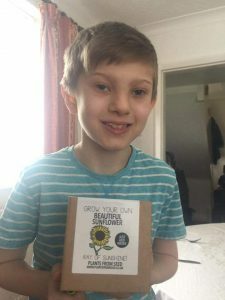 With summer fast approaching around the corner we decided to send all of our pals sunflower growing kits this month. We thought that this would be an interesting project for our pals to focus on by spreading some seeds of happiness and joy! Sunflowers are so bright and colourful that we thought it would help to create a little ray of sunshine to brighten up each and everyone of our children’s worlds. We make the most out of every single donation given to Post Pals and put great thought into what monthly gifts we send out to our pals. 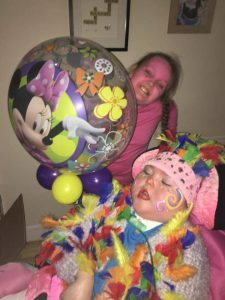 By supporting a small charity like Post Pals, you are supporting our dream to make seriously ill children smile during difficult times. We cannot thank each and every single one of you enough who helps make a difference to Post Pals!!! 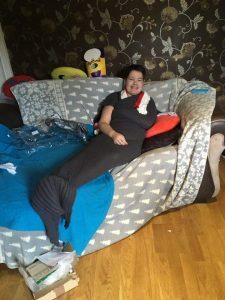 This month we sent all of our pals either mermaid or shark tail blankets. 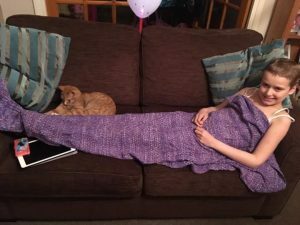 These cosy blankets made perfect gifts for our pals as they can use them to wrap around themselves, keep warm and relax on the sofa or in bed with! 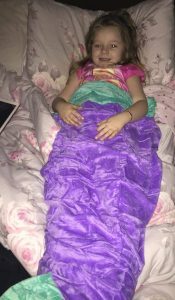 The Extra Smiles Team chose these blankets especially as they manage to combine an element of fun as well as providing a source of comfort. 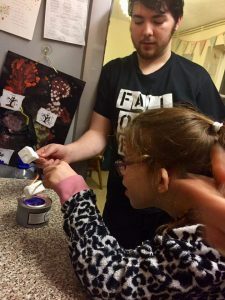 This Extra Smiles Project is just one example of what Post Pals are able to achieve with donated funds. Thank you so much to all the people that support Post Pals. Without your support, these extra special projects and treats would not be possible so we are most appreciative. 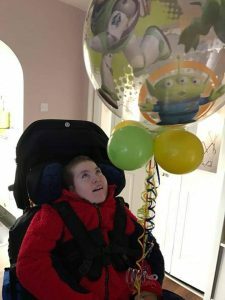 February 2017 – Bubble Helium Balloons! 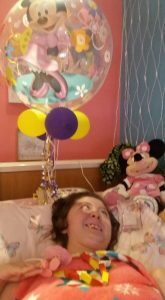 February was a fantastic month for our Extra Smiles Project. 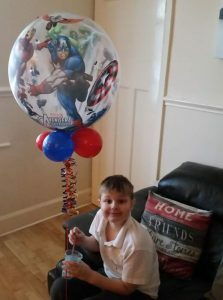 We managed to cheer all of our pals up by sending them all a 22″ helium bubble balloon each! The great thing about these particular balloons is that the last a lot longer…some up to 6 weeks! 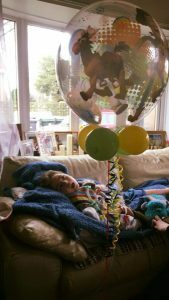 We had a great response and were inundated with photos of our pals with their balloons which was absolutely fabulous! In the words of Winnie The Pooh….’Nobody can be uncheeered by a balloon’! We would love to share these photos below with everyone. 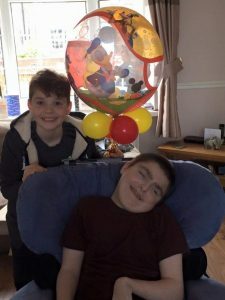 I was also sent a bubble balloon this month whilst I was in hospital so a very special ‘Thank You’ to Vikki! I absolutely loved it! 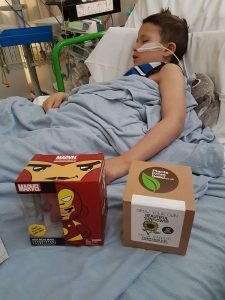 I have to say being on the receiving end of post when things are tough makes you realise just how special Post Pals is to all of our seriously ill children. It really made a difference and brightened up my day so I can only imagine what Post Pals must mean as a charity to all of our pals and their families. A very special ‘Thank you’ to everyone who kindly donates to Post Pals, without your support projects like these would not be possible. Below are some wonderful photos of some the smiles that this project helped to create. We make the most out of every single donation given to Post Pals and put great thought into what monthly gifts we send out to our pals. With your help and kindness, these Extra Smiles Projects become a reality for our pals and help them smile during difficult times. A very special ‘THANK YOU’ to every single one of you who helps make a difference to Post Pals!!! We would like to say a very special ‘Thank You’ to Swanky Portraits. 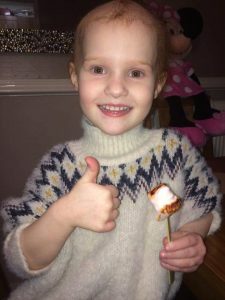 Towards the end of last year we were contacted by a lovely lady called Taaya Griffith who has kindly offered Post Pals to be a beneficiary of her company. Taaya has a real passion and flare for drawing. 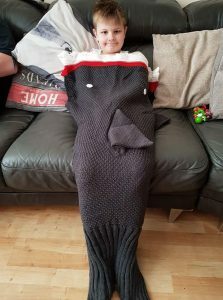 She thrives on utilising her imagination to create unique personalised gifts. In 2016, Taaya progressed her creative journey further by developing her company Swanky Portraits. 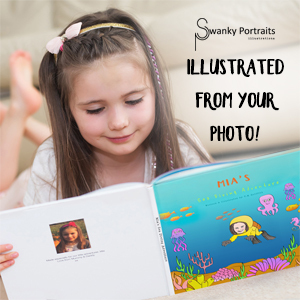 Swanky Portraits offers a wonderful selection of unique gifts which are personalised with illustrations created from photographs; suitable for both adults and children alike. 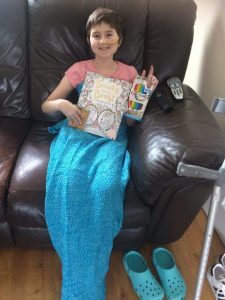 Their range of gifts include: personalised books, framed portraits, illustrated greeting cards and illustrated gifts. We are very proud to be working alongside Swanky Portraits as they offer wonderful gifts. The added touch of the personalised illustrations is what makes Swanky Portraits truly unique and different. 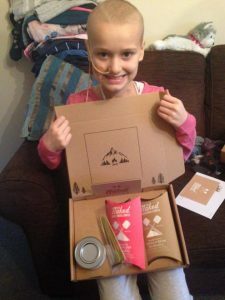 We would like to say a very special ‘Thank You’ to Taaya for all of her hard work and efforts in helping to make our pals smile. 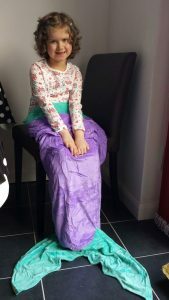 It is wonderful people like Taaya who truly make a difference to our charity. Below are two pictures that we would like to share with everyone. 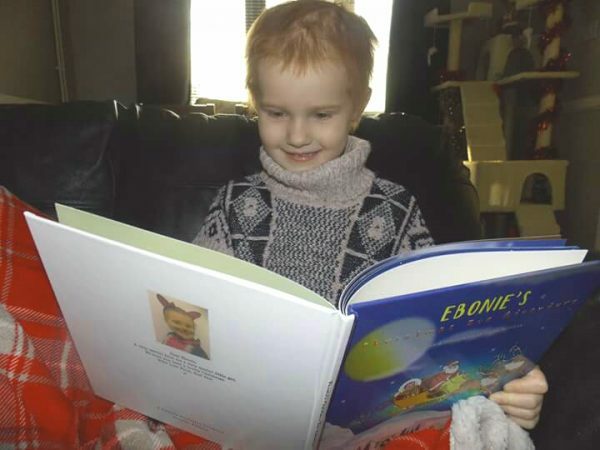 One is of Ebonie with her ‘Christmas Eve Adventure’ book and one is of Harrison with his ‘Space Adventure’ book. Please take the time to head over to Swanky Portraits and see for yourself the great work that they do, Thankyou. 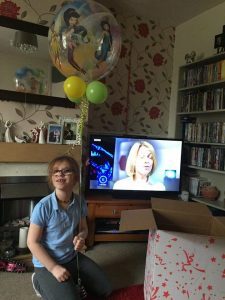 Post Pals is normally about small acts of kindness but we would love with your help to grant some wishes too!